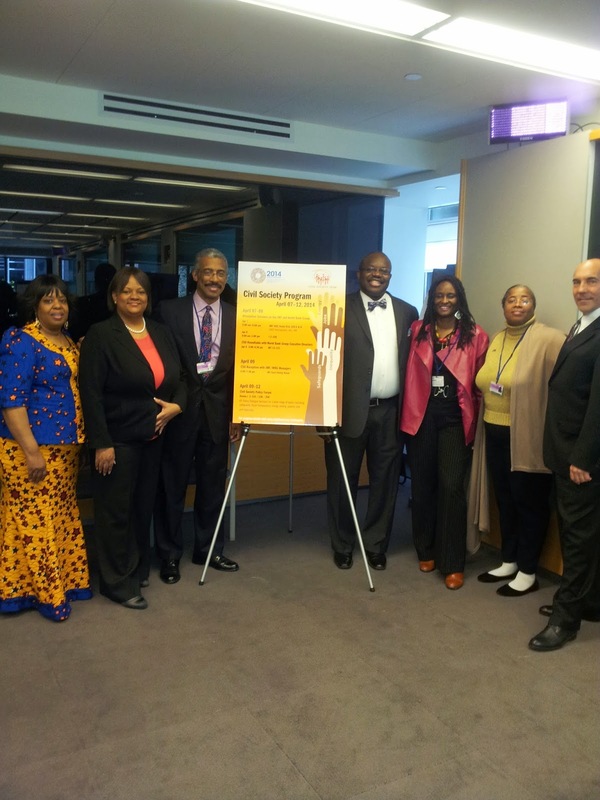 Washington, DC, April 8, 2014 - The FEEEDS Advocacy Initiative and Operation HOPE will co-host a Civil Society Workshop on Saturday, April 12, 2014, from 12:30 pm to 2:00 pm under the auspices of the World Bank's 2014 Spring Meetings in Washington, D.C. The joint session, entitled “Agile Innovation and Technology: Lessons From the Developing World,” is FEEEDS first co-hosting opportunity alongside the world renown NGO Operation HOPE, which leads the way on implementing financial literacy programs and tools for at-risk communities world-wide. The FEEEDS-Operation HOPE session will bring together leading subject matter experts to highlight new technologies, which FEEEDS CEO Ambassador Robin Renee Sanders calls "agile," and unique programs being used to address education and poverty, while Operation HOPE will highlight its ground-breaking financial literacy projects and tools from business in a box, to banking on our future. Co-Host, FEEEDS CEO Ambassador Robin Sanders, and Operation HOPE Senior Vice President for Government Affairs Jena Roscoe, will also provide key presentations on the role that young people can play in changing the world's wealth inequalities. Ambassador Sanders will kick off the session with a presentation examining Africa’s Youth Bulge as an asset to economic development for the region, while Ms. Roscoe will present the latest financial literacy tools that Operation HOPE has launched to encourage financial well-being for young people, encourage entrepreneurship, particularly its 5117 project with the goal of changing the financial lives of 5 million at-risk youth. Other panelists include Bill Knapp, Manager African Technologies in Education – a FEEEDS Strategic Partner, Patricia McCants, Founder, African Diaspora Chamber of Commerce, Mr. Ditu Kasuyi, UFSC International, Advisory Board Chair & International President Emeritus, and James H. Parks, Founder, The Parksonian Institute & Advisor SHADOKA.